I just got back from Langkawi and I went there for a full length music album shooting. I was there for a month and it was really fun. Friends, memories, island etc. On my last week in Langkawi, I had accident and did few video promo for Rockiss clothing. Before I went to Langkawi, I thought I will discover about music and adventure. Then I realized I discover more than that. It’s just not about music and adventure, it’s more than that. Friendship, family, trust, challenge and many more. 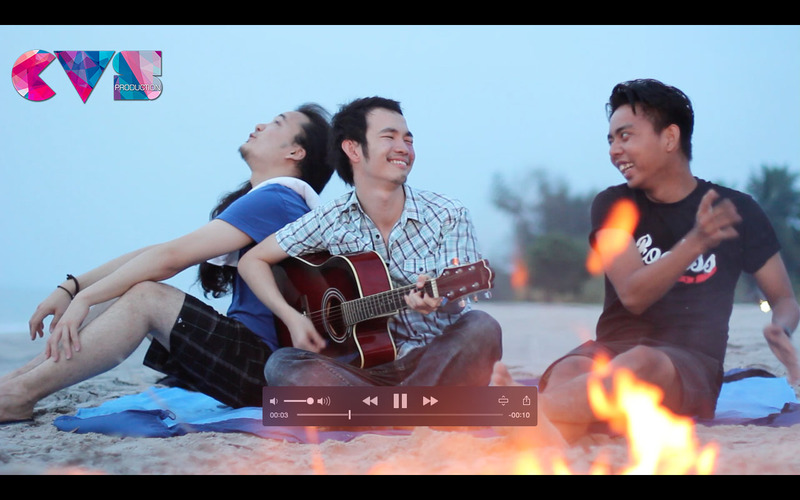 So, the promo video was taken in Tanjung Rhu Langkawi (5 minute away from our house) and it was really a lovely beach. The shooting was easy because there’s not many people around maybe due to fasting month. Just kidding, the band member was really helpful because they know that I can’t walk a lot. Thanks guys. One of the unique thing about this beach blanket is, they do have “sand pocket” at the every corner of it. So, it’s really easy for you to avoid your beach blanket from flying around. The TTTM Parachute Beach Blanket is truly multi-purpose. Ideal for the beach, camping, a concert or any other outdoor activity, this easy-to-carry sheet of sturdy parachute nylon protects you from whatever’s on the ground, and the pockets at each corner can be filled with sand or rocks so that the blanket will not fly away. You can also use it as a shield against the wind or sunlight by attaching ropes to the corner rings. Delivered in a built-in stuff sack for easy transportation and safekeeping, the beach blanket dries quickly and is mildew-resistant. This is how the final look. Don’t worry about the sand. It was totally covered. Usually when I went to picnic with my family, I need to put bottles or anything that heavy to avoid my paper/cloth from flying around. The purple color is eco-friendly bag and hammock made from high grade parachute nylon material. it was really good companion for those who love outdoor activity. With the band. Do check out Rockiss facebook too!